After going 62-100 last season, the Chicago White Sox are hoping to take a big step forward in 2019. With one of the best farm systems in baseball, the future appears to be bright on the south side of Chicago. 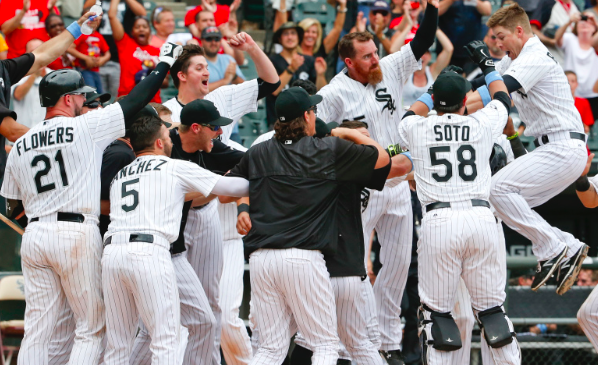 But will the White Sox be ready to make some noise in 2019 or are they another year or two away from being a contender in the AL Central? Chicago’s rotation had an ERA over 5.00 last season, so there’s a lot of room for improvement heading into 2019. With James Shields out of the picture, the White Sox brought in Ivan Nova to be a veteran anchor in their rotation. Nova has been the model of consistency, posting an ERA just under 4.20 in three consecutive seasons, so he gives Chicago a solid mid-rotation starter. The White Sox are hoping to get the same from lefty Carlos Rodon, who will get the opening day start after being limited by shoulder issues the past couple of seasons. The White Sox also took a chance on veteran Ervin Santana on a minor league contract, making him someone to watch closely if he’s healthy. Of course, it’s the development of their young starters that will determine how good Chicago’s rotation is this season. Reynaldo Lopez had some ups and downs last year, but the 25-year-old was electric in September and the White Sox hope that carries over into 2019. Lucas Giolito didn’t have as much success, pitching to a 6.13 ERA in 32 starts last year. On the bright side, he’s even younger than Lopez and still won 10 games last year. The sky is still the limit for Giolito, who was once the top pitching prospect in baseball. If Lopez and Giolito can start to reach their potential, Chicago’s rotation could get real good real fast. Meanwhile, the White Sox are also waiting on a number of other young pitching prospects to help fill out their rotation. Dylan Covey is expected to carve out a full-time rotation spot in 2019. But Carson Fulmer could also push his way back into the rotation despite continued struggles as a starter last year. Top-100 prospect Dylan Cease could be someone to watch the second half of the season. The bullpen was a problem for the White Sox last year, but they’ve addressed that issue over the winter. The club traded for Alex Colome and signed Kelvin Herrera to help them manage the late innings. Colome appears to be in line to be the closer, although Herrera is just as capable if called upon and will also be a quality 8th-inning setup man. Nate Jones has also been a steady contributor in Chicago’s bullpen the last three seasons, giving the White Sox a nice triumvirate of late-game relievers. The caveat is that beyond Colome, Herrera, and Jones, the White Sox are a little limited with regard to proven big league pitchers in their bullpen. Lefties Jace Fry and Aaron Bummer were solid if unspectacular last season, but neither moves the needle much. Meanwhile, the White Sox will look to a slew of unproven pitchers to fill out the rest of their bullpen. Ian Hamilton showed some promise last season, although pitchers like Ryan Burr, Thyago Vieira, and Caleb Frare all left something to be desired during their brief major league auditions in 2018, giving the White Sox a few holes left to fill in their bullpen. Offensively, the White Sox still have a lot of room for improvement, but they may have to wait another year or two to get some of their top prospects to the big leagues. In the meantime, they hope veterans like Jose Abreu and Yonder Alonso can carry their offense. Abreu’s numbers saw a stark drop-off last season and the club can only hope it was just a temporary setback. Acquiring Alonso from the Indians should help give Abreu a little more protection. The White Sox can also expect a full season from catcher Welington Castillo, who missed half of the 2018 season with a PED suspension. While the White Sox hope those veterans can carry them in 2019, they’ll be more focused on the development of some of their younger players. Shortstop Tim Anderson and third baseman Yoan Moncada both failed to take a step forward last season. Both are still young enough to become average or better big leaguers, but both had disappointing seasons in 2018. The same is true of Yolmer Sanchez, who posted a modest .678 OPS in 600 at-bats last year. Unfortunately for the White Sox, they have similar problems in the outfield while they wait for prospect Eloy Jimenez and Luis Robert. In fairness, Daniel Palka had a nice year in his first extended playing time, hitting 27 home runs and posting an OPS of .778. But Nicky Delmonico and Adam Engel did little to establish themselves as pieces for the future, forcing the White Sox to sign Jon Jay to help fill out their outfield in 2019, even though he’s on the backside of his career. The White Sox won’t be able to compete in the AL Central until their young position players are all in place and start to produce consistently. It doesn’t look like that will happen in 2019. If the rotation starts to come along and they can plug some holes in the bullpen, the White Sox could be interesting to watch in 2019, but they probably won’t make too much noise. Look for the White Sox to finish 68-94 this season, only a slight improvement from last year.